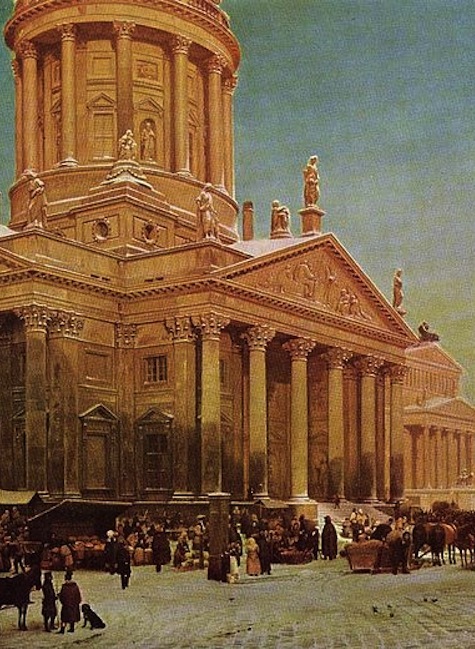 It is said to be the most beautiful square in Berlin, maybe even in Europe: the Gendarmenmarkt. It is located in Berlin’s historic centre, covers 3.3 hectares and is one of the German capital’s top hot spots. 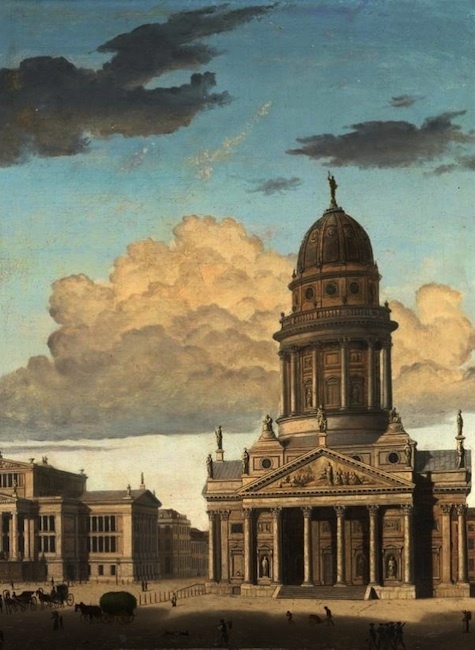 It has long been at the top of any tourist’s sightseeing list; more than a million visitors come to the Gendarmenmarkt each year, as well as quite a few business people and Berliners themselves. The square offers by far and away the best and most exclusive locations and events in the whole of the city; there are numerous restaurants and cafés where you can sit and relax, luxury shops and boutiques are scattered throughout the square as well as along the nearby shopping mile, Friedrichstraβe. Lovers of culture flock to the fantastic performances at the concert hall and for international business people, the square is the hub and focus of Berlin, with its famous hotels, banks, offices, clinics and estate agents. On these pages you can find out more about the exciting history of this unique square. The menu links you to information about the square, the French Cathedral, the German Cathedral and the Concert Hall. 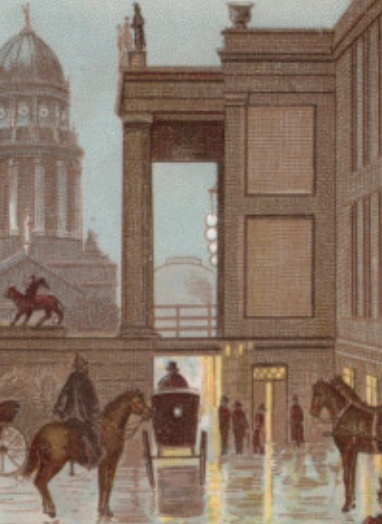 You will also find useful suggestions for your visit to the Gendarmenmarkt. 1688 The square originated as part of Friedrichstadt, established by prince-elector Friedrich III who was later to become King Friedrich I of Prussia. 1701 The two church buildings were constructed – but originally without the towers. One church belonged to the Lutheran community, the other to the Huguenot community; most of the French immigrants had settled in Friedrichstadt. The Edict of Potsdam had ensured the protection of the Huguenots’ religious freedom and civil rights. 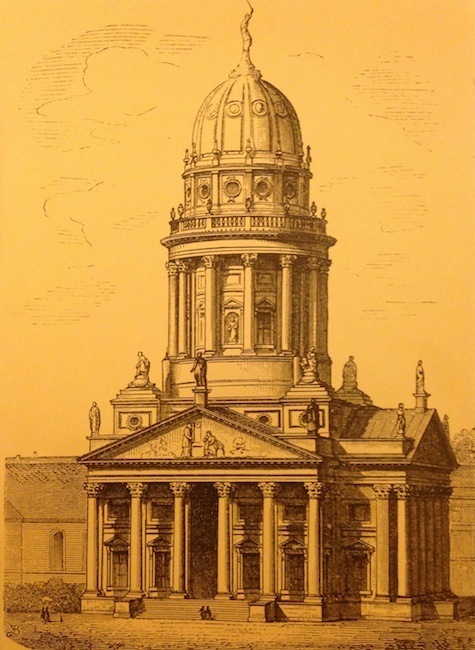 1780-85 The two identical domed towers were erected by architect Carl von Gontard under the rule of Friedrich II. 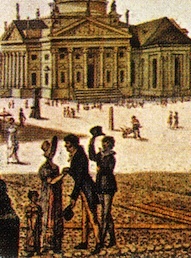 1821 The royal theatre, now the concert hall, was designed by the architect Karl Friedrich Schinkel. 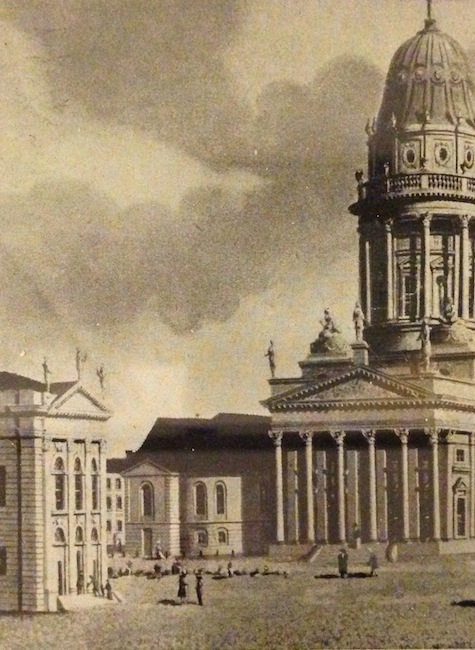 It replaced the national theatre which stood on the same site and was destroyed by fire. 1859-71 Monument to Friedrich Schiller in the centre of the square, erected on the 100th anniversary of the writer’s birth. 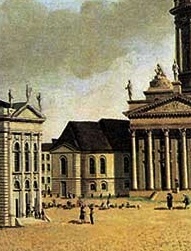 Until 1936, this part of Gendarmenmarkt was known as “Schiller Square”. 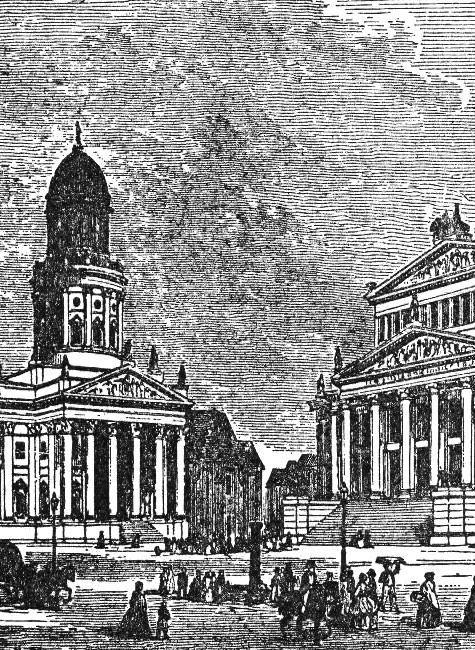 Gendarmenmarkt around 1900 – with ornamental gardens. One square – many names. 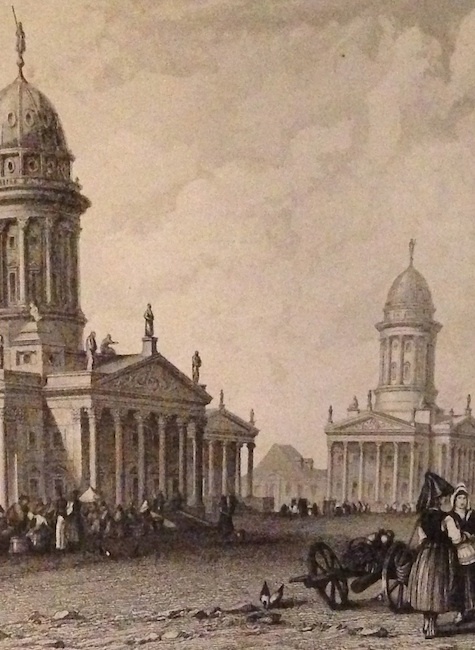 In the 18th century the square was called New Market Square – and the German Cathedral (without its tower) was called New Church. The market square – setting for history. 1847 The “potato revolution” – an uprising against increasing food prices – heralded the revolutions of 1848/1849. 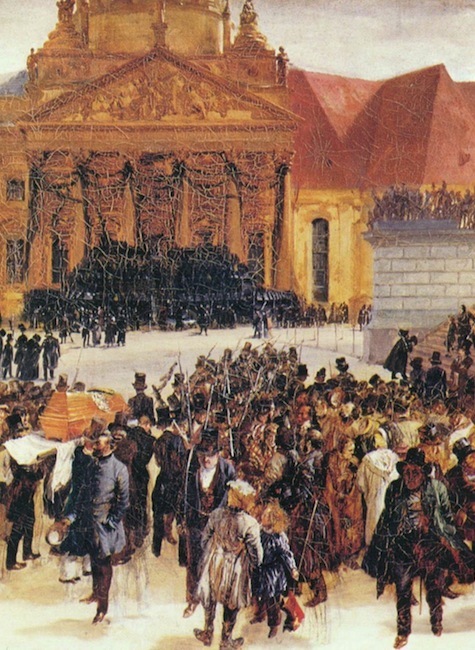 1848 Those who died in the March Revolution were laid out on the steps of the German Cathedral. From September, the Prussian National Assembly met for several weeks in the theatre’s main hall. 1936 The Nazi regime removed the ornamental gardens in front of the theatre and replaced them with the square stones that you can still see today. The square was then used as a parade square for propaganda rallies. 1946 On the square, which was destroyed by bombing in the Second World War, a concert took place by the Alexandrow Ensemble, the famous Russian army choir and orchestra. 1979 Reconstruction work on the concert hall. Re-opened in 1984. Three years later the French Cathedral was re-built, in 1989 the restored Schiller monument was unveiled. The German Cathedral was completed in 1996. 1990 On the eve of German reunification the last act of state by the East German government took place, a performance of Beethoven’s 9th Symphony. Horrific sight for Berliners: After the bombing, the burning French Cathedral lit up the sky.